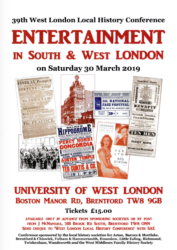 The West London History Conference is an annual event that is organised jointly by the Richmond Local History Society and other local history societies in west London. & Blues Festivals that were held in Richmond in the 1960s. 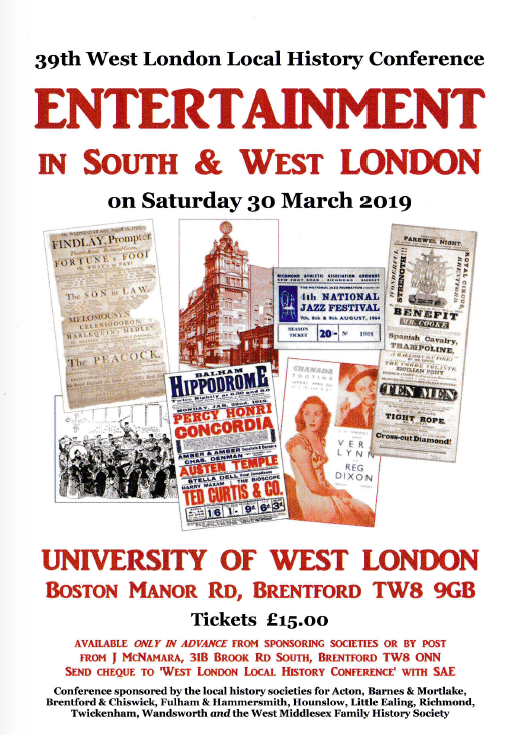 The venue is the University of West London in Brentford. Tickets for the day must be bought in advance. They are only £15 each and will be available at our January and February talks. This entry was posted on 30 March 2019 by Robert Smith.